Religion Does the Buddha Exist After His Death? Does the Buddha Exist After His Death? The question: 'Does the Buddha exist after His death or not', is not a new question. 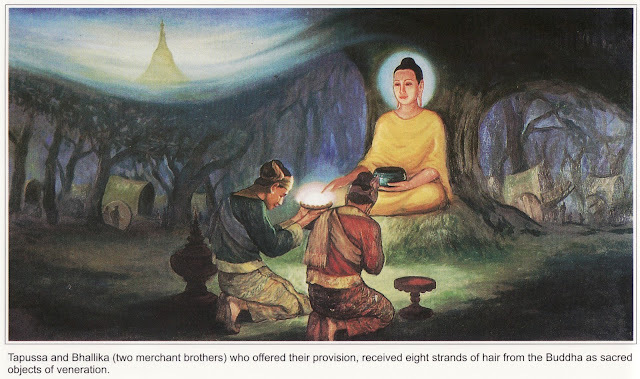 The same question was put to the Buddha during His lifetime. The above dialogue between the Buddha and Anuradha may not be satisfactory to many, since it does not satisfy the inquiring mind of the people. Truth is such that it does not give satisfaction to the emotion and intellect. Truth happens to be the most difficult thing for man to comprehend. It can only be fully comprehended by Insight. Buddhahood is nothing but the embodiment of all the great virtues and supreme enlightenment. That is why Buddhas who could enlighten others are very rare in this world.